We are pleased to be working with Verdo Horse Bedding – we switched our yard over to Verdo last winter and we couldn’t be more thrilled with the product – it is easy to work with, and has significantly reduced the workload for the team and the ‘air quality’ for the horses! It is extremely absorbent, economical and easy to store. I would highly recommend it to anyone whether you have one horse or many. Having a horse that eats straw & ends up with the vet as a result I thought my only other option was shavings. I tried these for a while but was never really happy with them, they moved everywhere & didn't soak up the wet which resulted in me smelling more like my horse than he did! Someone suggested trying wood pellets, which I did, someone else's! (sorry, but I didn't know any better then) They were better than shavings but took ages to 'puff' up' & were very dusty & left a gritty feeling on my horses coat, then I was introduced to Verdo Horse Bedding! They are exactly what I was looking for, they stayed in place, were quick to bed down & even faster to muck out, I no longer smelt like a horse & on top of that reasonably priced, easy to store & not too bulky for me to move about by myself! = 1 happy husband, 1 happy horse & 1 happy owner. Since using Verdo horse bedding my mucking out time has halved! My two year old is very messy in his stable so since changing to Verdo his stable is much cleaner and there is no odour either compared to traditional bedding. Thank you Verdo for an easy to maintain bedding at a very affordable price! Verdo bedding has made my life so much easier not only reducing my monthly costs but the time it takes to muck out to. My stable is so much dryer and a lot cleaner than it's ever been before, I recommend this to any one with a dirty horse! Added bonus is it doesn't stick to the horse either!! I have 4 horses they range from 11.2 to 15.2 I tried Verdo Horse Bedding one at a time the dirtiest horse first not expecting great results, but I was amazed to find although he was still extremely dirty he was quicker too muck out and less waste, I have now changed all 4 over to Verdo and I'm really pleased with the results, saving time and money is a bonus. Big thank you for this bedding! It has completely cleared up my horses cough & is SO easy to use and keep clean! Big Big Big recommendation! I have tried several different bedding for my horse with COPD And my other that is extremely wet in the stable. Saves me time & money ! We have just brought all our horses back in for the winter, now they are on Verdo Horse Bedding. So fast and easy, normally 1 full barrow per stable, now 5 stables, wow love it! Thank you Roy and Jocelyn from Little Pasture Trekking Centre. It is important that the yard looks and smells fresh at all times, the mucking out is carried out as quickly as possible, and the horses have clean glossy coats. For these reasons we use Verdo Horse Bedding. 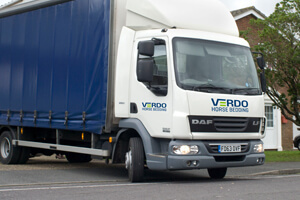 We have used Verdo for 2 years now and it has saved us a lot of money. Less bedding ends up on the muckheap, it is very absorbent, doesn't harbour bad smells, and is very easy to use. A winner all round! With a yard of over 25 horses time and money is always paramount. Verdo bedding is twice as quick to muck out compared to regular shavings and half the price! It makes a lovely bed so the horses are comfortable and happy and it is less dusty than shavings. Wish I had swapped to Verdo a long time ago. We love the bedding. It shakes easily out of the mane and tail, just a quick wipe over the coat and you are ready to go! Stable stains are minimised on the grey horses too, as Verdo absorbs all the urine. A great labour saving and economical product. I'm really happy with the bedding - it works for us on so many levels – the yard is cleaner and smells better, our ponies stay cleaner, the stables are quick to do (even the messy ones), there’s less waste and the muck heap isn’t growing at the rate it was…Shall I go on? 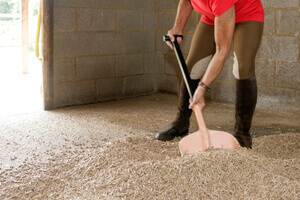 As a senior rider with a total knee replacement and a single horse-owner, I have been using wood pelleted bedding for the last four years. I find it much easier to carry and store and can collect a few bags at a time from local feed merchants. It's much quicker to muck out and I have a much smaller muck heap to get rid of. Over the four years I have tried several different brands, all have had various pros and cons. I have now converted to Verdo having trialled a few bags a couple of months ago, I am delighted with the results, I find the bed more stable and far less dusty even in this dry summer. My horse, Floss is very happy to lie down and as it is so absorbent she doesn't seem to get the stable stains that she had before on the other bedding. Thank you for a great product. I have tried various other horse bedding including other 'wood pellet' versions. I applied for the free bedding trial with Verdo which they did and talked me through the product. If I’m honest I was sceptical! I was excited about mucking out the next morning (worth it's weight in gold already)! But after reading some reviews about how little bits of poo are left in the bed and after a week the bed was darker in colour etc etc I wasn't really expecting to actually smile whilst mucking out!!! I mean, are little bits of poo not left behind in a shavings bed or straw bed? Does the bedding not get darker after a week in a shavings or straw bed? Are people just expecting the bed to muck itself out? If yes Verdo is not the right bed for you! Was I surprised just how much I liked it.....Yes, Was I surprised just how good it was......Yes, Was I surprised just how warm a bed it made for the 34 year old......Yes, Was I surprised just how nice it still looks (obviously mucking out correctly)....Yes, Was I surprised that I was transformed and ordered a pallet...... Actually Yes. Thank you for coming up with this bedding VERDO!! I just had to try something different because I was going out of my mind with frustration & bankrupt due to spending up to £20 a week on shavings & straw. I put new EVA matting down & ten bags of Verdo Horse Bedding, It looked beautiful! All I needed was a sun lounger & cocktail & I could have been at the beach. I was dreading the next day though because Apollo s very dirty and true to form it was a mess however I could not believe how quick & easy it was to skip out. Apollo is a big horse, Comtois (heavy breed) I would usually fill a wheelbarrow every morning of just poo plus another two full loads of wasted bedding. Not now though! I would not hesitate to recommend Verdo Horse Bedding. It is simply sensational & such a time & money saver. My only regret is that I didn't discover it sooner. My friend and I brought a pallet of Verdo Horse Bedding between us, set our beds down and were extremely impressed with the bed, horses came in, had a little sniff around and then stood all four feet on the bedding reaching for their hay as they didn’t seem to want to take a foot of their comfy new bed (I did move the hay closer). The half pallet (split between us) lasted me almost 6 full months! Which made it absolutely excellent value; both my horse and I were extremely impressed!! When I ran out of the bedding, I thought I’d try another brand of popular wood pellets, which I had heard performed really well when compared, however a half pallet has lasted me little over two months and I will definitely be placing my next order back with Verdo! I have been using Verdo since the beginning of winter. I was previously using shavings and going through three bales a week. I have the messiest horse ever! The shavings used to be coming out under the door every morning. My muck heap was huge and I was taking out at least two full wheelbarrow loads every day. Since changing to Verdo I use one bag of pellets a week, his bed is always at the back of the stable and he is lovely and clean! (He has four white legs and before hunting on a Saturday his legs always had to be washed to remove all the nasty stable stains... Now he is spotless and thankfully the leg washing is a thing of the past!) My muck heap is half the size and it takes about 10minutes to muck him out! I no longer smell of ammonia, his feet are in much better condition as his bed is always dry. I will never go back to shavings! Thank you for such a fantastic product! I am so pleased with your Verdo Horse Bedding. I have two very messy mare’s and have moved both on to Verdo, it makes my life and there stables so much easier and quicker to manage. I have recommend it to many of my friends. Verdo Horse Bedding is so quick and easy to muck out. My horse is very wet and prone to thrush. The wet compacts into a smaller area and keeps my horses feet dry and clean. I use less bedding and save money, it also saves me time and my horses feet are healthier. Highly recommend to all of my horsey friends! I brought a pallet of Verdo Horse Bedding about a year ago after it was recommended to me by a friend, the pallet had 65 bags on and I still have 5 bags left!!! At the time I was happy with my shavings bed but as I had heard such good things about the wood pellets, I thought I would give it a go! The wood pellets are not only extremely economical, they are also very absorbent and really easy to use. My mucking out time has been cut in half and my bedding bill too! I won't be going back to a shavings bed now and I would recommend Verdo to every horse owner! My horse used to be very wet and messy in his stable when on shavings, and was costing the earth with the amount of shavings I had to go through. Since changing onto Verdo bedding it is a lot more manageable, as it is much more absorbent. This has cut down in the amount I'm having to use, and has brought the cost down considerably. I am much happier with this choice of bedding and would recommend it to others, as its so easy to muck out and looks far better than shavings. Verdo Horse Bedding has transformed the mucking out in our busy 25 horse yard. We find it has cut mucking out times by half. It is incredibly easy to handle/ deal with ,as it easy and neat to store. It makes up into an absorbent non slip bed that doesn't smell and as mentioned so easy to muck out especially for arthritic people such as myself!! I won't be returning to shavings for all the above. Also great value for money! Quick, Easy, Odour Free and Affordable. What else could you possibly want from bedding for your equine friend? Verdo Horse Bedding has made mucking out a much more enjoyable daily task than it once was. Having to muck out before work used to leave me smelling like a stable, not the most pleasant smell to be supporting, once in the office!! Since using Verdo my mucking out time has halved to just 10mins, my rubber mats are no longer sat on a damp concrete floor as the bedding soaks up the urine extremely quickly. I also believe that Verdo has helped keep Twizzys mud fever at bay this winter as it’s helped dry her heels out overnight a lot more than her old straw bed used to. With fewer trips to the muck heap, 1 or 2 new bags of bedding a week and no horse perfume in the office, what more could you want from bedding. I am really pleased with Verdo bedding. It makes a huge difference to mucking out time and volume. Verdo gives a clean bed and does all that I was adviced. Verdo also has a very helpful sales team that care about their product. I have recently changed over to Verdo bedding. I was very sceptical as over the years have tried virtually every bedding on the market. It is absolutely fantastic, I am totally delighted with it and wish I found it ages ago! Verdo is the best I have used. The white socks stay white and the horses are clean and not smelly. I will not be changing my bedding, I have found the answer to all stable problems and it is a lot cheaper. There's not much waste either, I have found this a lot better for me and it cuts the mucking out time. I strongly recommend Verdo. Love this bedding...easy to use, easy to store, small muck heap, rots well and spreads on the fields amazingly well.....what is not to like! I was really struggling to fit in mucking out my messy horse and riding before work, but then a new livery came to the yard and introduced me to wood pellets. It reduced my mucking out time from 30 minutes to 5 minutes! After trying several types I found that the Verdo Horse Bedding had the best absorbency, without becoming too smelly. For those with seriously mucky horses, although it does not stay beautifully white, Verdo Horse Bedding is definitely practical and a real time and money saver! For those with clean horses, Verdo looks amazing (staying white!) and doesn't take much topping up. Highly recommend to anyone! I would just like to say how impressed I am with Verdo Original horse bedding. I needed to change to a dust free solution when my 23 year old mare was diagnosed with a dust allergy and was recommended to your product. I rang Verdo and received very helpful advice (being new to wood pellets I was unsure!). Within 2 days my bedding arrived and myself and the horses absolutely love it! I thought with one messy horse it would be a nightmare but I was wrong! It has made my routine in the morning so much quicker and I don’t come away smelling of horses. It is much cleaner and my partner is very pleased with the smaller muck heap to clear up too! Thank you. Verdo European - We have now opened the pallet of New Verdo European horse bedding and love it! It is clean, white and makes a really fluffy bed and we are finding that it lasts longer than the 'Original' Verdo Horse Bedding and similar products. The best bonus is that it is priced sensibly too! We will definitely encourage others at our yard to use it as I'm sure they would soon realise what a good product it is. We use pellets as an 'absorber' patch in our draught/WB's Summer shavings bed and as a complete bed in the Winter, and our 35 year old Shetland has a complete pellet bed all the time. Verdo European Review - I've used Verdo Horse Bedding for years but this is the first time on the New Verdo European! I have just moved yards so I set a completely new bed up! I am so happy, Verdo European looks so much lighter. Ordering was fine, service was great; and all delivered to my yard. One very happy Verdo customer. Will be ordering direct for my pallet again soon! Verdo European - I'm over the moon with the new Verdo European Bedding. It makes such a lovely soft & dense bed I'm almost tempted to have a snooze on it myself! Easy to muck out and having all the wet clumping in one place is so much better than shavings. The only problem I have found is that my Fell mare & her yearling filly want to spend a lot more time in the stable (they have free access)! Also love that there's no ammonia smell, no dust and it stays a lovely light colour. I shan't ever use anything else now, I'm a complete convert! Thank you from my girls! Christine Smith, from Bridport, Dorset. Verdo European - "I have just started using the New improved Verdo European bedding. Lots more absorbent, you can watch it swell and turn into fine shavings! Looks better too with its brighter colour and always so quick and easy to muck out!" I just wanted to say, I've put my really messy wet mare on Verdo Horse Bedding and it has been amazing! she stays much dryer and cleaner and it also reduces the mucking out time heaps! Thanks Verdo Horse Bedding! As a professional yard with over 18 horses mucking out is crucial part of day to day life. For the team here at Colina Pickles Eventing, using Verdo has been the most successful bedding product so far. Wood pellets are really absorbent and as result cuts out the smell of ammonia associated with using other bedding products. They are very easy to store and handle and as I like my yard to be spotless they get the thumbs up from me as they are no mess! A key element of mucking out is the time frame and I have found them to be very quick to muck out as well being a cost effective as wastage is low and therefore my horses, employees and finances are all happy. Dear Verdo I would just like to say a huge thank you for producing great quality wood pellets. I have 4 horses stabled and I've tried every bedding possible, even other pellets but yours are second to none. It's so quick to muck out. The horses legs stay clean. The absorbency is amazing. It stays like and fresh for a long time and it significantly reduces my muck heap. Also my 6 year old daughter can muck out her pony with ease! So Thank you and merry Christmas. Best wishes for 2016. I recently put my 2 horses on Verdo Horse Bedding, one of them has COPD and I'm happy to say it is not affected her breathing! Fabulous product - Thank you! I am delighted with the Verdo Horse Bedding that I ordered at Burghley Horse Trials and I am completely converted for my rather wet boys! I just wanted to follow up on the letter my daughter, Naomi Young sent Verdo a while ago thanking you for her chance to meet Natasha Baker and for the pallet of Verdo Horse Bedding that she won as part of her prize at the British Riding Club dressage to music championships last year at Bury Farm. Verdo Horse Bedding really is terrific, I would never have bought it if Naomi hadn’t won it, but now I am a complete convert! The other children are both clamouring to use it but to their disappointment, I am making them use up our store of shavings before I buy any more! Verdo Horse Bedding is really easy to muck out and it just stays in place, so there is almost no mixing of clean with dirty bedding; it also seems really economical! After a lifetime of mucking out straw and shavings, Verdo Bedding really is revolutionary. I am planning to put all of our ponies on Verdo once my shavings stock has run out. Anyway, I just wanted to say a big thank you for introducing us to your Verdo Horse Bedding. I am so glad Naomi won that BRC class; and if we are really lucky she might win it again next year & we will have another winter’s worth of bedding for Pepper! Verdo Horse Bedding is great for my mare she can be very wet and Verdo soaks up wonderfully as well as keeping in one place making the bed easy and quick to muck out. I love Verdo Horse Bedding, I bought it for my new Horse and Verdo Bedding is easy to muck out, there is no odour. I do not actually take out all the wet but it still does not smell, I think it helps keep my mares hooves moisture free too. For the past 15 years I've used straw for my ponies and every winter I've been sick of the wet, urine smelling stables when mucking out that lingers on your clothes, hair and rugs. Then I came across Verdo Horse Bedding and this is my first winter using it and I LOVE IT! So easy to muck out, the ponies are clean on it, NO smell of urine at all and less on the muck heap and all for an affordable price! Safe to say I WILL NOT be using any other type of bedding from now on, even my cob approves! The yard I keep my horse at is a small livery yard but we all use Verdo Horse Bedding and it is absolutely fabulous; one of the other liveries did use straw when we got there but after a few weeks they also went onto Verdo as well. I cannot put into words how much easier it makes mucking out on a daily basis, it literally takes minutes giving me more time enjoy a hot cuppa on these cold winter days. So thank you very much Verdo Horse Bedding you get a double thumbs up from us. Leanne Raine and Jed, from Bishop Auckland, County Durham. My mare is filthy when she stayed in I was going through shavings like they were going out of fashion! To top it off she has arthritis and was finding it difficult to stand on unsupportive shavings. When I switched to Verdo Horse Bedding I saw a massive change it has an amazing spring to it which gives her the support she needs. As well as that I am saving so much money on bedding! It is an amazing product which is so easy to use and saves me from throwing so much clean bedding away! Well worth the switch and I'll be staying with Verdo Horse Bedding forever. After becoming a first time horse owner 3 years ago I was still quite green about quite a few things. One of them being horse bedding, which I hadn't given that much thought to until I was stabling my horse more and he just didn't seem to enjoy his stable as much as I thought he should and it didn't seem that comfy even though using straw at the time it looked lovely all fluffed up Monty is also very clean in his stable but I still seemed to throw a lot away when mucking out. I started researching rubber matting and various bedding options and once finding a stockist decided to give Verdo Horse Bedding a go, since then I have not looked back and I would recommend above anything else. I saw such a difference from my boy lying down on his bedding and also the cushion it appears to give means it doesn't spread all over the stable when it's walked over and the fact that one top up bag goes a long long way. I have certainly noticed a reduction in my bedding cost and it is the easiest bed to muck out by far; one flexi tub of poop and a real good muck out and freshen up once a week compared to a mountain of straw. I recommended to another friend and she loves it just as much! With several horses on a small private yard the muck heap must be kept to a manageable level. Using Verdo Horse Bedding all the poo goes on the muck heap all the wet bedding fills holes in the field gateways and mulches round the trees and the vegetable patch. Solution small muck heap, happy year happy yard owner. My 3 donkeys love Verdo Horse Bedding! They are not waterproof but if they get caught in a shower they love rolling in Verdo to dry off! I love it too! - the muck from all three is less than half a wheelbarrow full and only takes 10 minutes! Perfect bedding. I have to say Verdo Horse Bedding is the best bedding there is on the market today. It is not expensive, it does not smell, dust free, easy to use, less time to spend with your hairy loved ones. I have been on Verdo Horse Bedding for just over a year and would not change to anything else. I am a full time mum of 4 and have 4 hairy beasts and it has given me extra time to do the important jobs in life. Recommended to all my friends who also think it is great too. Thank you Verdo Horse Bedding. The days of stinky rugs and stable stains are over! Verdo Horse Bedding to the rescue, and a big thank you for all the spare time I now have from mucking out a box in less than 5 minutes. I put my mare onto Verdo Horse Bedding after my despair at the price of shavings. I did not think that these little pellets would be up to anything, but a month later and five bags down, I am a staunch convert! Such a good price and much drier and cosier than the straw I was using! I started using Verdo Horse Bedding as my mare is so wet and messy, literally it was a case of trying yet another bed. I'm so pleased with Verdo, I never thought I would find a product that I would be happy with. Verdo Horse Bedding is so easy to keep a clean bed and is odourless. The wet is soaked up quickly and the moisture contained making it so easy to remove and the dung is just scooped from the surface easily. Now I can clean her stable in less then 15 minutes and be proud and satisfied rather than embarrassed and in a massive rush to get to work. Financially Verdo Horse Bedding is a blessing to the purse fairy and easily collected by my little car weekly from the supplier. I wish I had found Verdo years ago I will never change back now to another product, I love it! I started using Verdo Horse Bedding last week due to having used miscanthus since August. I must confess that I would never have even thought about using Verdo until a new livery on the yard arrived and was using it. So far my winter coughing sleepy snuggly snoring 17 2HH OAP is warm and cosy in his bed. He lies down a lot and his banks have stayed firm. I remove his droppings but have left the wet in (although quite frankly I am amazed at how dry the bed is still) and it has stayed firm under foot which is always a constant source of worry for me given his age! it also only takes me 10 minutes in the morning to muck out! So far money spent this month on bedding is: £51.80 v £63. Allison Judd, from North Devon. Verdo Horse Beding has been a godsend after spending a fortune on bedding for our rescue horse who was so messy and wet all the time. I was putting a new bag of shavings in every day and he always had wet rugs and muck stains all over his lovely white socks, we now have been on Verdo for 3 months and what a difference! most weeks we only need to put 1 bag in a week or 2 max, we have no more wee soaked rugs in the morning and one very happy horse who loves laying flat out in his Verdo bed, whereas he would hardly lay down for long in his shavings bed we were so impressed that we also put our other horse on it and we are only having to put one bag in every 2 weeks. Having tried many brands and un branded wood pellets, Verdo Horse Bedding always comes out top trumps, personally I prefer the more natural look as the bed doent turn yellow from urine, VHB is the most absorbent and least dustiest. So quick and easy to deal with!